How would you respond if the eyes of the world are watching your every move? If you broke through the ceiling of celebrity and rose to the top of your discipline? In his book, "Greater Than Gold" David Boudia describes his journey as a world-class diver and Olympic gold medalist. More importantly, he describes his journey to the Lord and how he uses his athletic platform to tell how Christ transformed his life. A natural athlete and rising diving star at the University of Purdue, David was never one to shy away from a party or pursue his personal interests. He kept his sights on the glory and fame that he thought would come to him as an Olympic athlete. He got the opportunity to participate in the 2008 Olympic Games in Beijing in synchronized diving and the 10-meter platform diving events. There, his personal pursuits stood in the way of him obtaining his ultimate goal of becoming an Olympic medalist. It was only by the grace of God that David was able to redirect his life and later rise to the top of his sport and ultimately the Olympic podium. As a former college athlete, I found that I was able to relate to David’s story on many levels. I was interested in learning about his training and competitions and how worldly influences effected his walk with Christ prior to his conversion and continued to play a role in his life long after he decided to be faithful to the Lord. 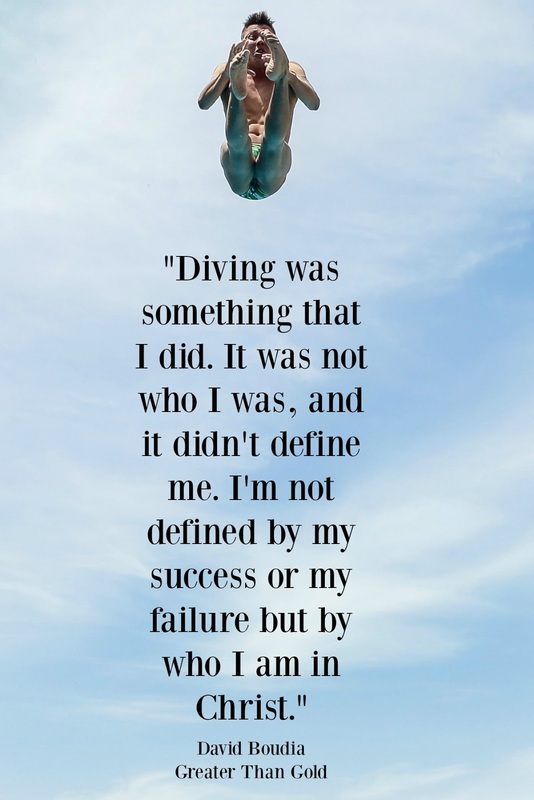 David’s story is inspiring and relatable, whether you’re an athlete or not. For example, after having a child David said this of parenthood, “The baby cries in the middle of the night, and I don’t really want to wake up. But I have to because her life depends on it. Caring for her has taught me how to be a servant.” Now what parent hasn’t experienced that moment of utter exhaustion and yet sacrificed their own personal needs and desires for that of their children? While David’s story is that of an elite, world-class athlete, elements of his life can appertain to all walks of life. 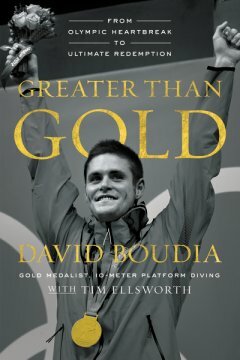 Filled with biblical truths and a truly inspiring story, I highly recommend this "Greater Than Gold" by David Boudia. What books are you currently reading? I'd love to add you as a friend on Goodreads so we can share our book reviews and recommendations.